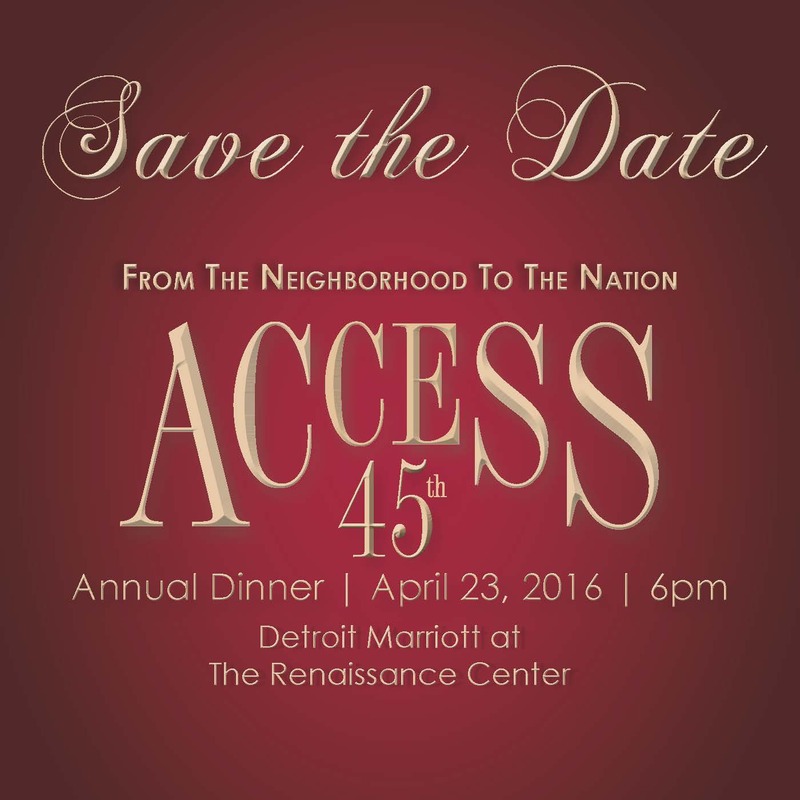 The 45th ACCESS Annual Dinner honors our commitment to serving our communities, both locally and nationally. The largest event of its kind, this special evening brings together nearly 2,000 friends and supporters including local, state and national officials and leaders from business, labor and nonprofit organizations. Your support of this landmark event helps us fulfill our mission to engage and empower individuals, families and communities to improve their economic, social and cultural well-being. Please join us as we work to realize our vision of a just and equitable society with the full participation of Arab Americans. Together we can continue to build our neighborhoods and strengthen our nation. Online ticketing is now closed. Limited space is still available. For tickets please call Jennifer Fisher 313-297-4263 or email at jfisher@accesscommunity.org. Tickets can also be purchased at the door.